"I'm looking at Kenzo [the Opening Ceremony duo-designed collection] a lot right now. 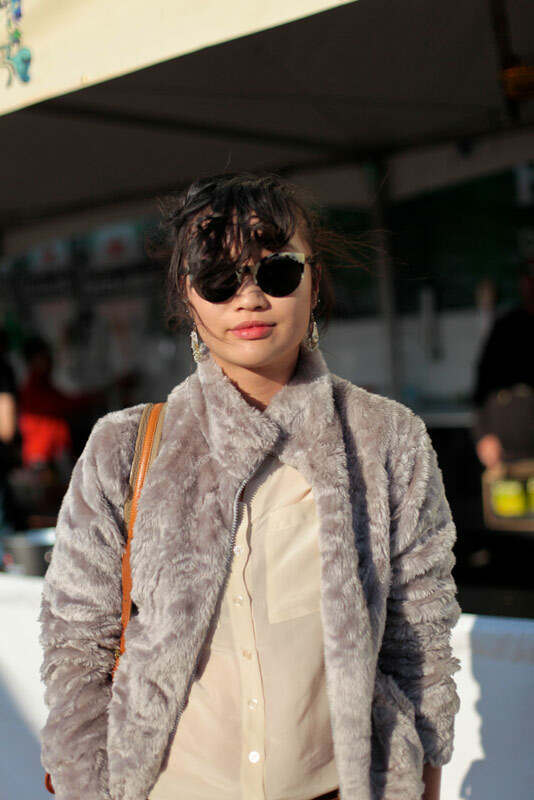 And I'm really into Ghengis Khan a lot right now, so I love the furs." The blend of formal and casual is impeccable in this outfit. I mean, how great does her gray faux fur jacket look with all the mustard yellow she's rocking? Right? Right! 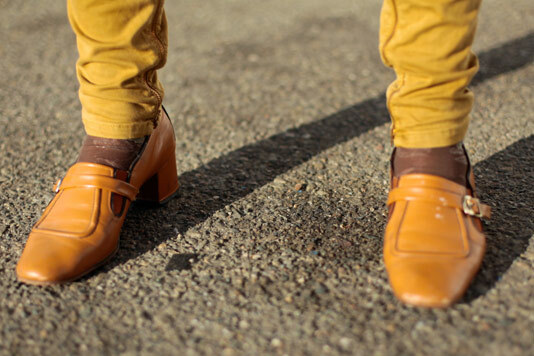 A look at her mustard yellow loafers.